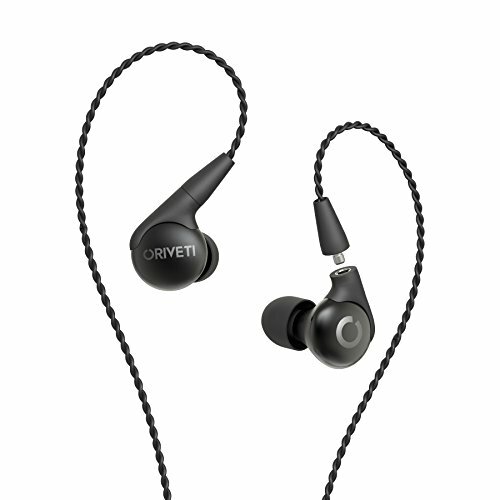 The Basic is a more budget friendly set of earphones that Oriveti offers. A relativley new company who gained popularity with the original Primacy, a multi driver hybrid monitor style IEM, is back with a couple of new IEM's this year. We reviewed the New Primacy a few days ago and now its time to look at the Oriveti Basic Priced at under $100, the Basic look to be pretty good value and a solid introduction to this young earphone brand. Styling wise you can see that the Basic are part of the Oriveti family and they look not too dissimilar to their big brother the New Primacy. They are still made from solid aluminum shell and still have that cool black and white color scheme you can get on the more expensive model. They feel very hard wearing and solidly built far more like a midrange build quality as opposed to a budget earphone that I was expecting. The shape is a new design, the rounded edges on the Basic are synonymous with a dynamic driver lurking inside as opposed to a multi BA (Balanced Armature) setup. Still the ergonomics of the design work quite well. I'm happy that they have designed them to be worn with the cable over the ear, its just my personal preference but I think it offers a lot of advantages vs traditional cable down style earphones. They are a fairly comfortable and unobtrusive and can be worn for a long time without discomfort. I put this down the nicely rounded edges and the soft touch materials. Both of these design choices mean that even if you do have contact points on your outer ears there are no sharp edges or rough spots to cause irritation. The cable is brilliant. In fact, Oriveti makes some of the best stock cables on any earphone as I discussed in the New Primacy review earlier. This cable isn't the same but it does share the same DNA and thus has a lot of the good qualities derived from its bigger brother. The cable is braided with a lovely soft touch material that has exemplary behavior in the way it resists tangles and bunching. It also sits really well when worn over the ear without the need for using the cable guides. A straight jack is a great choice, its a 3.5mm with metal construction that inspires confidence. We should probably mention that the cables are also detachable via the MMCX connection points. You won't find an inline microphone on the basic but for around $15 you can pick up one of these compatible models from .... if you require call functionality from your earbuds. The Oriveti Basic are decent at isolating you from external sound. They will be more than suitable for use in public as well as in transit and commuting. Insertation depth is around medium and the relativley wide driver housing also helps to stop most of the annoying hum around you. The Accessory set is about what I would expect for a earphone in this price range. Everything you need is included. A generous set of tips in various size and styles means finding a fit should be possible for everyone. You also get a set of ear guides and a carry case. I'm not a big fan of seperate ear guides, I just prefer the simplicity of having it built in like RHA do on the T10i or Campfire Audio do on their MMCX cables. Thankfully the Basic still work well without them and dont suffer from that tendency to flare out like some cheaper cables do. The carry case is the genetic semi soft style that you can pick up for a few quid online but ints an appreciated inclusion and also has some tasteful branding on the outside. Sound, is good, but not quite what I would describe as excellent. There is a leaning towards the low end of things and they seem to be tuned more to suit consumerist tastes. Thats not a bad thing for most people and its probably a smart move having an earphone targeting the mainstream as opposed to the hobbyist market that the New Primacy takes aim at. Highs - Highs are somewhat muted. You don't get much high-end sparkle but each note is clearly defined if you listen hard enough for it. They just sit back from the mids and especially more so the lows which will be the first thing you notice. Sibilance with this sort of profile is, of course, non-existent which is a good thing if you find yourself struggling with sharp high notes. The midrange is good and clear but the softness in the highs is also present in the upper mids making them better suited for male vocals and weightier stringed instruments. The bass is strong and definitely the most prominent area of the Basic's sound on a whole. Honestly, on its own, I really like the Oriveti Basic. It's well built, sounds good and is fairly comfortable to wear all day long. The real issue they will face is the current price point and the standard of their direct competition. At $100 or less you are dealing with some seriously awesome headphones and I am having a hard time justifying why I would take the Basic over some of these other models. An incredibly well built comfortable earphone with a punchy, open sound and great mids and bass. 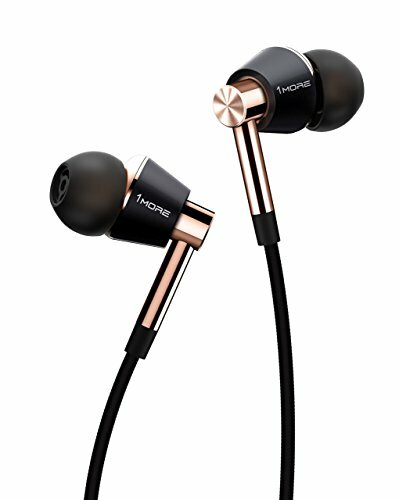 This earphone is one of my favorites of the past few years and now you can buy them for just $84 makes them really hard not to recommend them. Then you also have a great 3-year manufacturers warranty. Stunning all rounders. 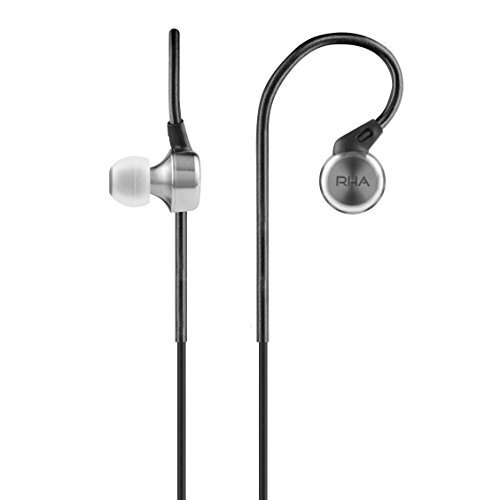 Check out our RHA MA750 Review. The 1 More are like a great white around a school of tuna at the $100 mark. This is a big hitting fish and it smells blood. These triple driver earphones scream quality from the minute you pick them up and they have some of the best sounds at its price point. They even have the ability to take out many more expensive earphones thanks to their beautiful tuning and ability to convey detail throughout the entire frequency range. Check out our 1More Triple Driver review here. They might be getting a little bit long in the tooth now but there is no doubt the Shure SE215 is one of the most popular sub $100 earphones to date. Great build and a solid manufacturers warranty. You are able to have these earphones replaced even years after the sale date with a few emails back and forth with the aftersales care team. 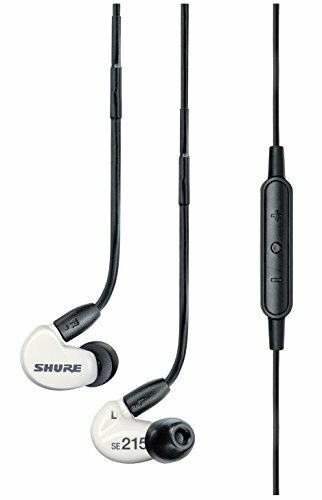 The sound is a great introduction to the Shure house sound even though it might now be for everyone you get great midrange performance and some solid hitting bass as well. Styling is also a big plus point I have both the clear version and the limited edition blue version and they always catch the eye despite being out for what can be considered a fairly long time. Check out our Shure se215 review here. There is a lot to like about the Oriveti Basic. Build quality is great the design styling and comfort are all bang on. The sound whilst not as refined as some of its competitors still have a lot to offer the budding audiophile. We liked the full on lows and the space and staging were also a big hit during the review process. The only real problem I have with this earphone is at its current price. This is the price where earphones start to sound really good. The basic while a commendable effort with lots of nice touches doesn't feel quite as premium as I have started to expect from a $100 earphones. The new primacy represented value for money, and earbud punching way above its weight. I don't get that same feeling from the Basic but nonetheless, it can still be considered a good if not quite a great earphone.